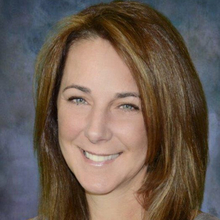 Jackie Frese has more than twenty seven years of experience in all areas of the title and escrow industry. She is known for her expertise in residential, commercial, short sale, refinance, and exchange transactions. Clients comment that Jackie exceeded their expectations in knowledge, attention to detail, customer communication, and professionalism on all levels during their transactions. Jackie is a native Californian and enjoys spending time with family and friends. She also enjoys traveling, reading, and taking in a good movie. Jackie looks forward to serving you on your next transaction.